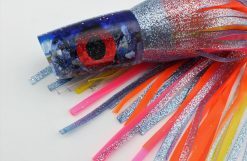 The Rockstars are 12″ Heavy Plungers dig, smoke and pop like the superstars they are. 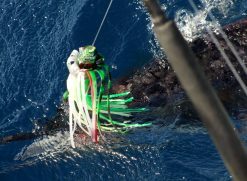 They don’t spin, they can run in heavy seas, at higher speeds, and they even run great in the wash and will swim like they should. 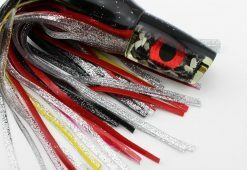 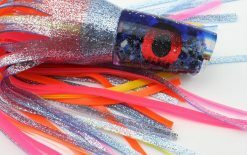 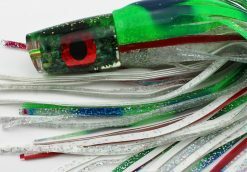 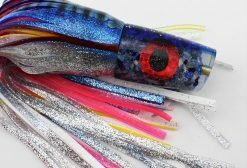 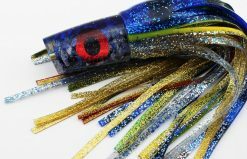 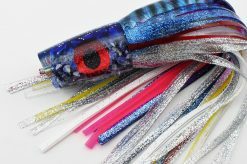 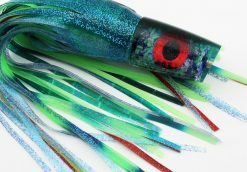 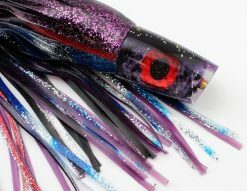 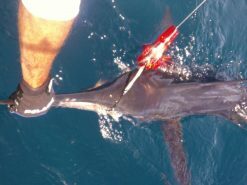 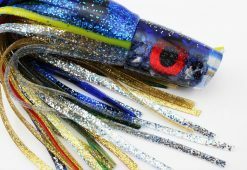 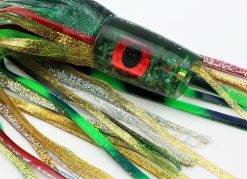 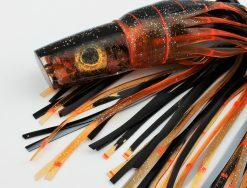 You get stability and action that outperforms your other marlin lures. 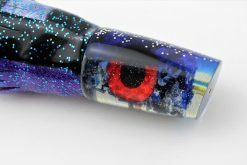 The unique inserts are made with genuine stones like lapis, amethyst, malachite and more to create a depth and contrast that you won’t find in any other major-league marlin lure. 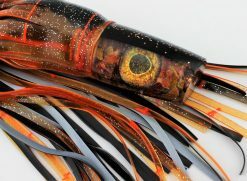 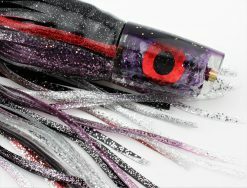 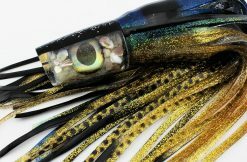 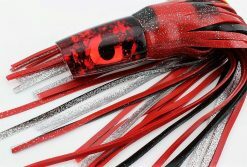 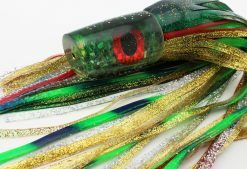 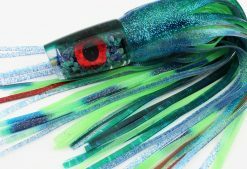 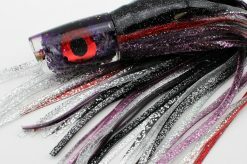 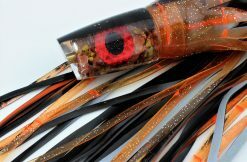 Paired with proven skirt combinations, they are irresistible baits for big predatory fish. 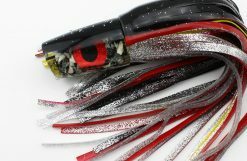 Run Rockstars on either corner or the short rigger, on 300 – 400 lb leader … and send us a picture of your grander! 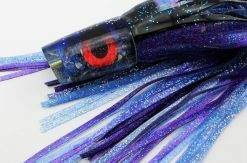 12″ Rockstar Plunger – Custom – Mother of Pearl and Handmade Eyes! 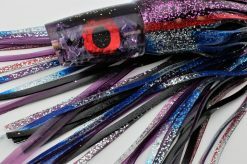 12″ Rockstar Plunger – Big Squid!